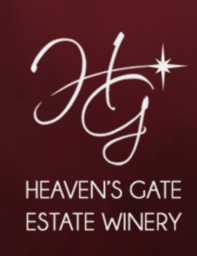 Heaven’s Gate Estate Winery, once a thriving peach orchard, is now home to our handcrafted wines made from only premium quality Okanagan grapes. We invite you to drop by the wine shop for your complimentary wine tasting. Bring a picnic lunch and, with your favorite bottle of Heaven’s Gate wine, enjoy the spacious patio, the soothing cascade of the fountain, and the breathtaking view. Open daily May 1 to October 31 - 10 am to 5 pm. Open Saturdays & Sundays April and November - 12 pm to 4 pm.